Keynote speaker Robert K. Hur (left), US Attorney for the District of Maryland, joined a host of leaders in the Maryland legal community in addressing MSBA Leadership Academy Fellows on March 13, 2019, in Baltimore. Event sponsors included Miles & Stockbridge, DLA Piper, Saul Ewing, and hosting venue Brown Advisory. 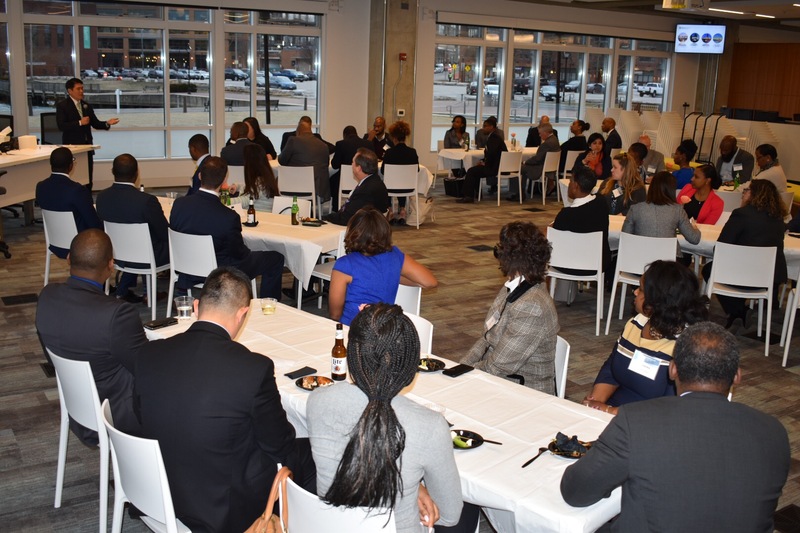 Special guests also included International Association of Defense Counsel President and Baltimore native Craig Thompson, among others, as well as MSBA President Judge Keith R. Truffer, Treasurer Judge Mark F. Scurti, and Executive Director Victor Velazquez. As an MSBA member, you help support investment in the future of the state’s legal profession through initiatives like the Leadership Academy.